I certainly wouldn't consider myself a winter person; I've spent a lot of my time travelling around the world chasing an endless summer. As the nights draw in and my tan begins to fade, my itchy feet start telling me to look up flights to the next sunniest destination. While there are corners of Europe that still experience warm, sunny days during the winter months, you're best off heading a little further afield if you want to sunbathe in a bikini. If you want to escape the dreary winter weather, I've put together a list of some of the best medium to long haul destinations for winter sun. Moroccois an easy-to-reach option for winter sun, with a flight of just over three hours from London. 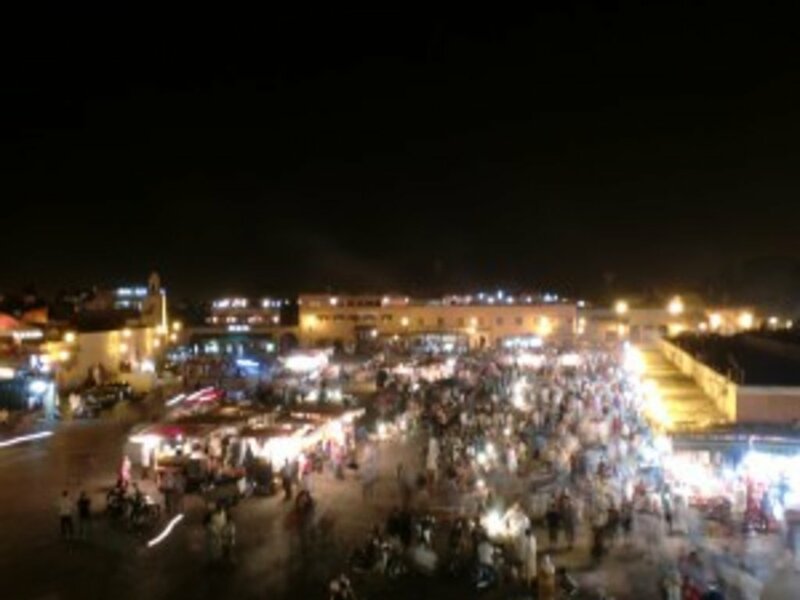 Marrakechis an assault on the senses, with its bustling souks and vibrant market square, the Jemaa el-Fnaa. For an easy day trip from Marrakech, you can travel up to the Atlas Mountains and visit the Kasbah du Toubkal, where Martin Scorsese once filmed a scene for one of his movies. If it's a beach holiday you're after, you might want to head to the fishing village of Taghazout, a popular surfing spot. Don't miss Chefchaouen - a city that is famous for its buildings painted in all shades of blue. Most people visit Kenyaduring the UK winter as this is when the country's summer is in full swing. Of course, the country is famous for its wildlife and safaris, but it also has beautiful white sandy beaches - the most famous of which is Diani Beach. You can fly into either Nairobi or Mombasa, both around a nine hour flight from the UK. The 'Big Five' - the lion, African elephant, Cape buffalo, rhino and leopard - can all be seen in Kenya. If it's a beach holiday you're after, then the Red Sea has some of the best snorkelling and diving opportunities in the world. Try the famous resort town of Sharm el Sheikh on the Sinai Peninsula, or head a little further north to Dahab, where things are a little more relaxed. One of Egypt's main draws is the famous Egyptian pyramids and the Sphinx, so you might consider taking a Nile Cruise from Cairo to Luxor to see the famous pyramids, the Sphinx and the Valley of the Kings. While things cool down in Europe, the Land Down Under hots up. Spending Christmas enjoying a 'barbie' on the beach sounds a lot more exciting than huddling around a fire for warmth! While Sydney and Australia's East Coast are usually the most popular destination for tourists, Perth on the West Coast is known for its long hours of sunshine and consistent weather. 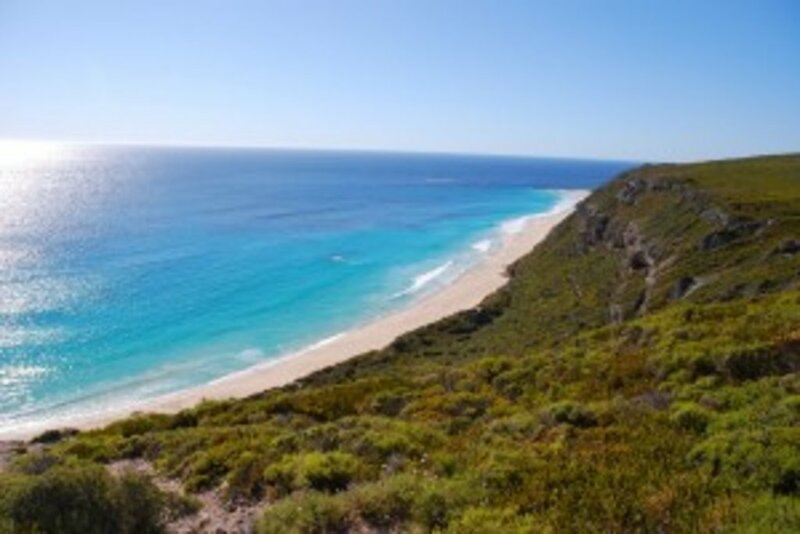 Things are a little more laid back; you can visit the wineries of Margaret River, relax on empty beaches, take a boat trip to Rottnest Island, and partake in a famous 'Sunday session' at the Ocean Beach Hotel. A visit to Cuba is like taking a trip back in time, complete with retro 1950s cars and a mixture of colonial and art deco buildings. Not only does it have beautiful white beaches like most of the Caribbean, it also has a unique cultural flair that you won't find anywhere else. The capital of Havana is an essential stop on your visit, where you can visit a Cuban cigar factory and sip on a rum cocktail in one of Ernest Hemingway's favourite bars, El Bodeguita del Medio. Hear the word 'Barbados' and your mind will probably conjure up images of white sands and swaying palms, but there's more to the island than that. The wave-battered East Coast lures avid surfers, while the centre boasts beautiful, lush scenery and vast plantation homes. Driving around the island is a great way to explore the sights and to visit popular spots such as the Animal Flower Cave and Harrison's Cave. You also cannot leave the island without enjoying a Friday night dinner at Oistin's Fish Fry, where you can choose your own fish and have it cooked right in front of you! Located off the west coast of Africa, the Spanish Canary Islands of Gran Canaria, Lanzarote, Tenerife and Fuerteventura are perfect for a low cost holiday. Served by numerous budget airlines, these islands offer year-round sunshine and plenty of watersports action. Each island offers something different: Lanzarote has black sand beaches and lunar landscapes, for instance, while Fuerteventura has golden windswept beaches and is perfect for windsurfing. Vietnam is a fantastic place to experience the real Asia. 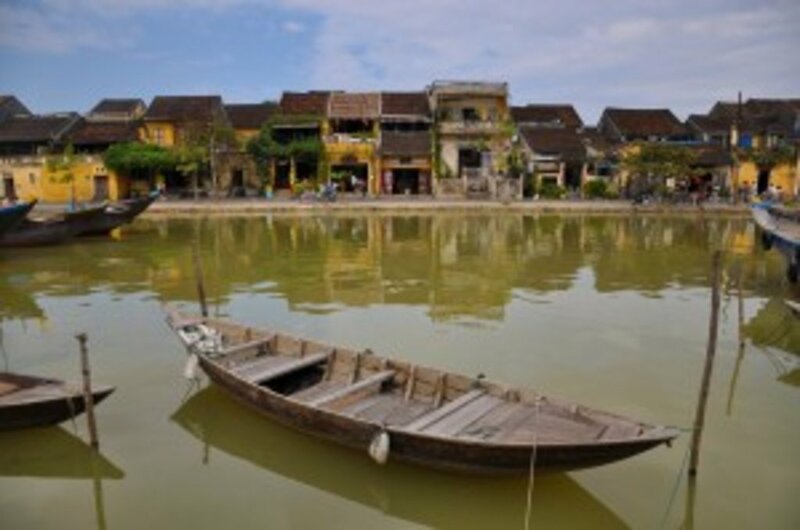 Hoi An is my personal favourite town - a beautiful UNESCO World Heritage Site with its picturesque river and quaint yellow buildings. The town is best known for its myriad of tailors, but there's more to Hoi An than just shopping. There are Japanese Bridges, temples and historic houses to explore, and a beautiful sandy beach only a 5km drive away. If you would like to take a traditional cooking class, book a lesson with Ms Vy at Morning Glory to learn how to make yummy Vietnamese dishes. Boasting some of the most luxurious hotels in the world, Dubai is good for a short break involving pool-time, shopping and fine dining. The weather in winter is dry and pleasant, with daytime highs of 25 degrees and night time lows of 10 degrees. Visit the Burj al-Arab hotel - the only seven-star hotel in the world - and head to the observation deck of the Burj Khalifa, the world's tallest structure. If you want to venture away from the hotels and shopping malls, try the extreme adventure tour known as 'dune bashing'. You'll race around the desert using 4x4 jeeps, dune buggies, quad bikes and sand boards. Located off the coast of Senegal, the Cape Verde islands offer a unique blend of African, Brazilian and Portuguese cultures. There are ten islands in total, and they are all relatively untouched by mass tourism. The islands of Sal and Boa Vista boast miles and miles of pristine, unspoilt white sand beaches and there are plenty of opportunities to partake in sports such as kitesurfing and diving. From beautiful beaches to fascinating culture, here's why you should head to Zanzibar for your next holiday. Here are our top picks for the best seaside towns in the UK, from Scotland to Wales and back again.